Blissful massages happen here at Palm and Sole Massage. We guarantee that the services of your choice will be satisfying and leaving you feeling darn near perfect. 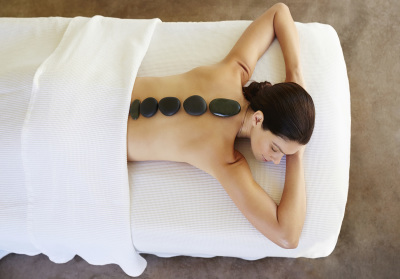 We do offer a wide array of services such as a relaxng Swedish, deep tissue, pregancy, hot stones and Ashiatsu! If you have visited Palm and Sole Massage, tell us what you think in this quick survey. 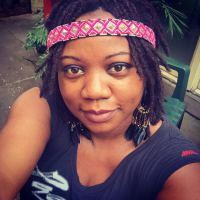 Before I began my training for massage therapy, I worked in the corporate world -8 hours of sitting behind a desk, answering/making calls, computer work, and going to meeting. While I was dedicated to my job, I was in grave pain from time to time. It became so great that I was forced to seek other ways to manage my pain besides taking pills and ointment to mask the pain. I looked in to Chiropractic care and then I was introduced to massage. After receiving my first massage a light bulb lit up! Not only did I feel a relief from my pain it suddenly became an interest to pursue it as a career. Yes! It made that much of an impact on me! I enrolled at Omaha School of Massage in 2009 and graduated in 2010 and went back to achieve an Associated Degree in the field. Since then I have added to my training in learning several modalities all of which are all fantastic! 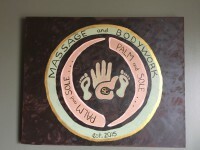 After 6 years of massage I decided to start a new venture by opening Palm and Sole Massage in Bellevue, Nebraska. It’s a small location but quaint and has character, charm, and sophistication as well as an oasis of peace when you first walk in. At Palm and Sole expect a friendly, therapeutic, and professional service from myself or other team members who may assist with your massage experience.